A sleek design, great flavors, and enormous vapors are only a few of the things that define this mod. 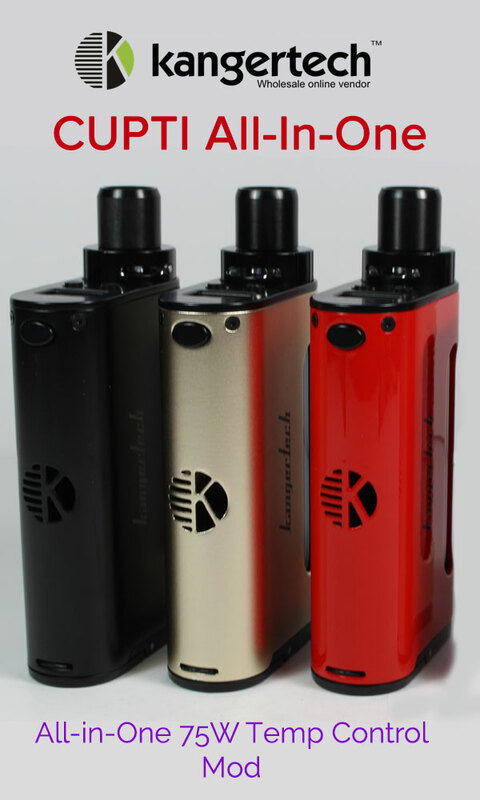 Kangertech has a new vape mod for beginners and pros alike. While the pint-sized mod looks as though it was designed with the beginner in mind, the flavors make you want to change your mind. Here is our review. In the box is the small mod, with a USB charger, a tank, and the manual. The Juppi box mod is quite small, small enough to fit perfectly in your hand. The packaging is neat and the manual easy to go through. The mod, as you will note in the review below, is easy to use, handle, and refill. Honestly, this mod is a bit odd, but in a good way. The L-shaped body fits the tiny tank correctly. While most mods have the tank at the top, this particular model has its L-curve for the tank to fit. This serves its purpose while reducing the size of the mod. The buttons are at the front of the mod, with each serving its particular purpose. It is fueled by a single 18650 battery, which is sold separately. It only needs one at a time, which helps keep the mod compact. So keep spare ones in a cool and dark place for when you get through the one in the mod. The single battery fits perfectly in the slot using a magnetic battery cover to keep the battery in place. It has three main buttons: one for turning it on and off, and the other two for adjusting to your preferred settings. The buttons are not labeled plus or minus, and so it is up to you to figure it out. The micro USB charging port is also on the face of your mod. The fire button is not in the same spot as the on and off buttons but at the top of it. As is with most mods, five clicks will turn it on while five more will turn it off. The OLED screen on the face of the mod lets you see your settings. It also displays the status of your battery. If you can hold all three buttons at the same time, you will lock your settings so you don't accidentally change your settings. You can flip the display to suit your position. The Juppi 75W gives you the option between temperature control and variable wattage. The temperature mode ranges between 200 and 600°F, while adjusting the wattage goes from 7 to 75 watts. Your preference will depend on the type of coil you are using. When you hit the fire button three times, you can change your settings from Nickel to Titanium, to Stainless Steel, and then Ni-Chrome. The settings willchange by 5°, which means you can change them as fast as you need to. To adjust the power, (the highest being 75 watts), you use one of the buttons on the face of your mod. As we noted, they are not labeled, and so you have to test it out to know what each button is for. It won't be hard since there is only two buttons to adjust the wattage or temperature. The top cap is removable, to reveal the tank and the coil. The coil unscrews easily and so changing it will not be an event. 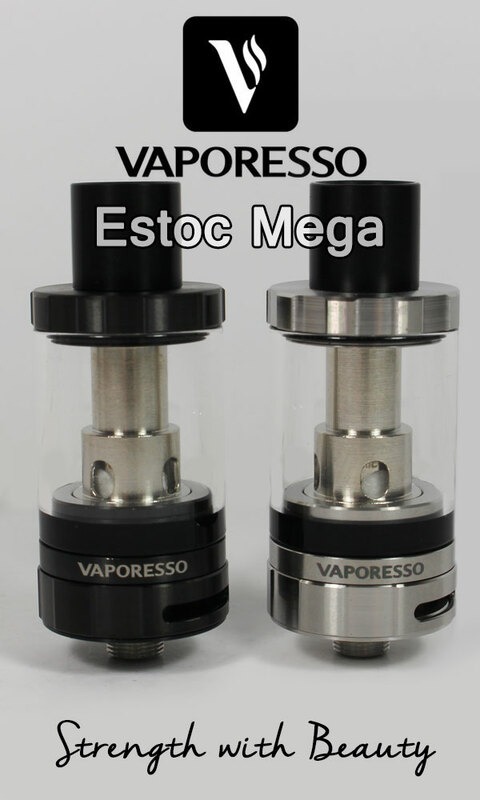 The top of the reservoir is drip-free, which gives you the confidence that your precious e-juice will not leak. Filling the 3.0ml tank is quite easy and doesn’t take long, of course. You will just need to screw it tightly to the body and then remove the cap. You want to be sure you soak the cotton in the coils to prevent it from burning. It is pretty the same way you refill your tank. No much difference here. Each side of the tank has an airflow that is not adjustable. You also want to ensure you stay within the capacity of the tank, as filling it beyond the 3.0ml limit would cause it to spill and we do not want that. For excellence in flavor, you want to leave the e-juice to settle for a few minutes. It would be practical, also, to ensure that the cotton soaks sufficiently, each time you refill it, but especially the first. Once that is done, you can attach on the cap and screw it tightly. Simple. When changing the coil, this mod will prompt you to set the base resistance of the coil. It will indicate a (+) for a new coil and a (-) for an old coil. Ensure to follow all the instructions to the letter for whichever coil you insert so that the internal mechanisms can work the appropriate base settings. It also recommends that the coil be at room temperature for best performance. The vapor production from the Kangertech Juppi is decent even at the lowest temperatures. It literally forms vapor clouds, which we find impressive for a mod of its size. The flavors hit right, especially at higher degrees. The higher the temperature, the more defined the flavors. The major drawback is the size of the tank. 3.0ml is quite limited, especially for a regular vaper. One other con is the placement of the buttons. The fire button is especially oddly placed. We like this mod for its design, vapor production, and excellent flavors. It takes some adjusting to find the ideal way to hold it, but the flavors coming out of it especially at high degrees, make up for that. Get the Kanger Juppi 75W here.